Most people ask who is Wayne Rooney? Well he is a Manchester United star. If you don’t follow soccer it will be hard to grasp who he is. Manchester United is one of the top best soccer clubs in Europe, they complete with clubs like Liverpool, or Chelsea. Rooney’s custom motorcycle could bring in around $62,084 to $93,126. Bonham’s is the one that will be auctioning the motorcycle. Below is a list of special features designed by Rooney. Rear mudguard featuring artwork depicting Ronney’s celebration of his spectacular goal against Manchester City in 2011, that helped Manchester United claim that year’s Premiership Title and was named Best Goal of the season. All raised money will go to KidsAid, a Danish charitable foundation that helps young people affected by illness. Discovery Channel – The Winner Team Junior! Congratulations to Team Junior on their win of Chopper Live, The Revenge. Did the best bike win? Paul Jr. Designs once again come out as the victor. I don’t know if this is the best bike that should have won, but it had my vote on it. The countdown to Chopper Live has started at the discovery website. I am anxious to see what everyone will bring in to the show. Tonight fans from all over the world will gather in front of the TV’s at 9pm ET/PT. Who will win Team Junior, Team Jesse, Team Fast Loud, or Team Senior? Leave a replay in comments. UPDATE: Check Out The Winner Here! Yes, you have read that correctly! After 10 years Discovery Channel is shutting the doors on “American Chopper”. However, to keep your face happy, we have found out that they will build one more bike before the door close. The show has inspired many builders to build their own custom bikes. I can’t believe that they are shutting doors on American Choppers after 233 episodes aired. Which was your favorite episode of “American Chopper”? Are you sad to see it go? Leave your comments below. Smiles up if you like Black Rebel Motorcycle Club and their music. As we come to end of 2012, Black Rebel Motorcycle Club has announced a new release of their music in March of 2013. The band does not have a name yet for the new upcoming album. However, there will be shows in March. I wonder if on those shows they will play one of their new songs? We just have to wait and see if they decide to surprise their fans. The four places that they will play in UK are Manchester Ritz, Glasgow, Birmingham Institute, and London Brixton Academy. So the official album will be released in March, 2013. Grab your tickets today for March shows, click here. Click here for official website of Black Rebel Motorcycle Club. Remember our post about movie Skyfall and James Bond? If not click here to read it first before reading this post. Now what we were all not expecting to see so soon, is that Honda from Skyfall movie be auctioned already. I have figured that they will auction it someday to make the extra money, but they totally went the other direction. James Bond’s motorcycle will be auctioned for children in need. They will donate the amount of money raised. If you want to place your bid hurry up because the auction ends Thursday November 22 at midnight. So you have about 6 days left from today, depends on what time zone you are in. Remember that all of this goes to a good cause and they will donate the whole amount of money to children in need. Follow the auction at eBay, Click here. The movie is presented by American Legend Sonny Barger. The film originally is from a novel by Sonny Barger. If you would like to get a better feeling of the movie, why not read the book first. The book can be found under book category for $15 dollars online at Sonny’s Barger website. So going back to the movie, they have finished filming on June 17th, 2012. But no word on the release of the movie. What is so great about it that the Infidelz were played by real Hells Angels MC. Majority of the MC’s featured in the film were authentic and from state of Arizona. For example, Hooligans, Alma, or Rollin Knights. The movie currently is in post production, it was hard to find it, since it is in small letters on their website. Official website of Dead in 5 Heartbeats, click here. American Legend Sonny Barger Website, click here. James Dean’s motorcycle arrived in Indianapolis earlier this week. However, it will not be seen by the public until November 23rd. The bike is a part of upcoming “Eternal James Dean” exhibit. 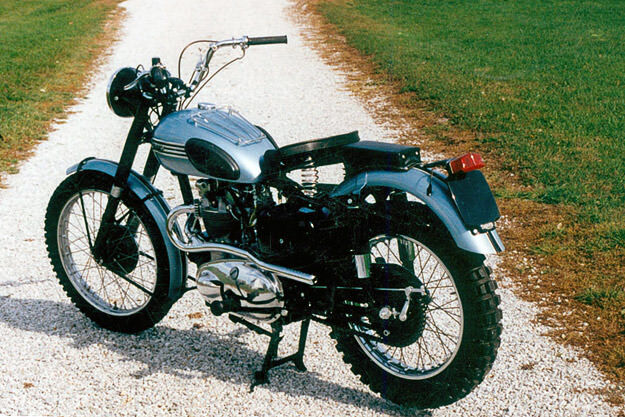 It is a 1955 500cc Triumph and it is in very good condition for its age. James Dean made 3 movies before he was killed in traffic accident. The museum display won’t include Porsche he was driving when he was killed. However, it will feature a 1949 Ford which Dean borrowed from his uncle to take his date to the prom. I am not sure how many people remember our old post about Motorcycles & Celebrities. But here is a refreshment of new pictures that we found. When you are finished viewing please cast your vote in Comments on your favorite celebrity with motorcycle.